Applications are now being accepted for the ASG Scholar Award for 2017 (deadline: August 31, 2016). This annual grant of $1000 is awarded for study at one of five major academic genealogical programs in the United States (listed below). Candidacy for the award is open to all genealogists, genealogical librarians, and researchers working in related fields. Applicants submit a published work or a manuscript of work in progress, to be judged by a panel of three Fellows. The goal of the award is to recognize talent and build genealogical expertise by providing promising genealogists the opportunity to receive advanced academic training in genealogy. 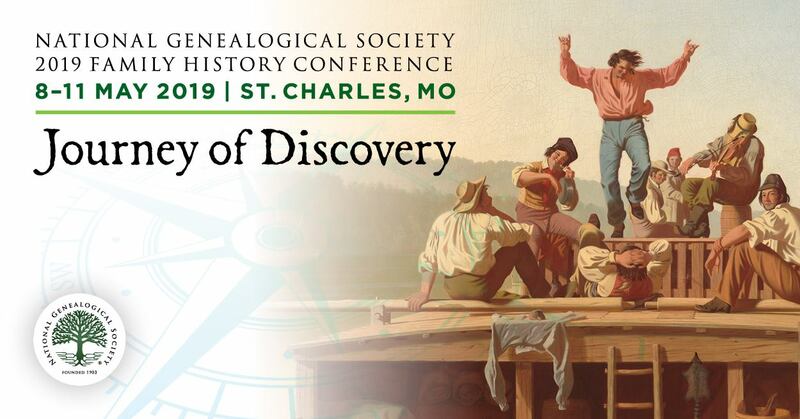 The award is granted in October of each year to defray costs of attending one of the following genealogical programs in the next calendar year. Genealogical Institute on Federal Records (Gen-Fed), formerly NIGR, held for one week each July and based at the National Archives in Washington, D.C., is the nation’s oldest institute for genealogical education, founded in 1950. Gen-Fed provides a unique program of advanced instruction in the use of National Archives records. Write to: Gen-Fed Director, P.O. Box 24564, Baltimore, MD 21214. Institute of Genealogy and Historical Research (IGHR), held for one week each June, was founded in 1964 to provide a structured program of genealogical study at an academic level. Based through 2016 at Samford University, Birmingham, Alabama, it is moving in 2017 to Athens, Georgia, to be held under the auspices of the Georgia Genealogical Society. IGHR offers tracks of study, ranging from beginning to advanced research methodology, professional genealogy, and other specialized topics. Contact: Laura Carter, IGHR Director, 3710 Barnett Shoals Road, Athens GA 30605-4712. Certificate Program in Genealogical Research at Boston University consists of five modules, offered on Saturdays in seven-hour sessions: Foundations, Technology, Evidence, Forensic, and Ethnic and Geographic Specialties. Contact: Center for Professional Education, 1010 Commonwealth Ave., 2nd Floor, Boston MA 02215. Genealogical Research Institute of Pittsburgh (GRIP), located in Pittsburgh, Pennsylvania. The instructors are all experienced genealogical researchers, lecturers, and writers who bring their expertise into the classroom with case studies and problem solving exercises. The students come from a wide variety of backgrounds but all share their passion for family history and for learning how to efficiently break down “brick wall” genealogical puzzles. Various different week-long genealogical courses which incorporate hands-on learning in a state-of-the-art and friendly community atmosphere. Contact: GRIP of Pittsburgh, PO Box 44, Wexford, PA 15090.
a résumé that emphasizes activities relating to genealogy and lists the applicant’s publications in the field, if any (prior publications are not necessary). a manuscript or published work of at least 5,000 words, demonstrating an ability to conduct quality genealogical research, analyze results, and report findings in an appropriately documented fashion. If the submission is to be returned, it should be accompanied by an envelope or bagging with sufficient postage. a statement (100–150 words) which (1) identifies the individual’s choice of program and (2) explains why the individual feels that attendance will enhance his or her growth as a genealogical scholar. Read more about the award and see a list of past recipients at Awards > ASG Scholar Award. If you won the scholarship, which genealogical program would you choose to attend?